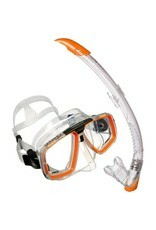 Twin lens design has a low internal volume that reduces buoyancy in the water and eases clearing. Cardanic Joint Buckles rotate both up-and-down and in-and-out for a customized and pinch-free fit. Counterposed push button activation makes strap adjustments fast and holds the strap securely in place once set. The system is also easy to use when wearing gloves. Wide headpiece on silicone strap conforms to the user's head to ensure a comfortable, secure fit. High-grade silicone material allows the facial skirt to flex and naturally mold around facial contours for a leak-free seal. 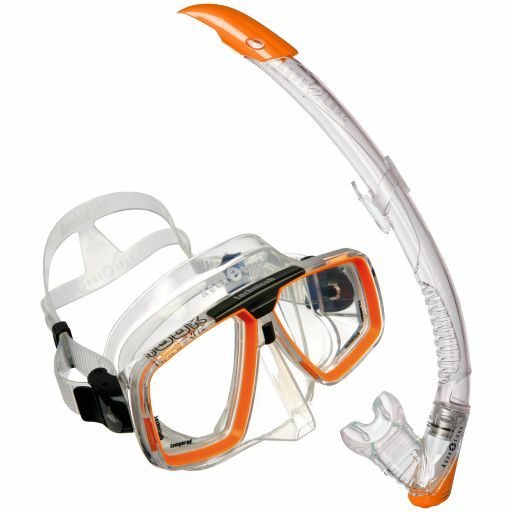 Shatterproof, tempered glass lenses suitable for diving and snorkeling meet ANSI standards. The Zephyr Snorkel was designed and is manufactured in the Aqua Lung facilities in Genoa, Italy. 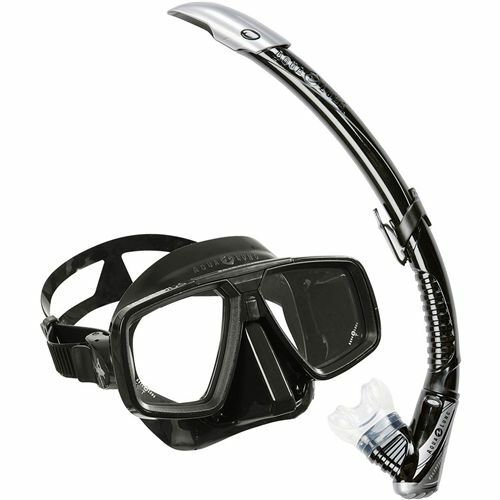 A splashguard and purge valve helps to eliminate water ingress and provides for easy clearing and an integrated corrugation zone make this a unique and stylish snorkel. The Zephyr has a splashguard with a purge channel on the top of the snorkel to prevent water ingress. There is an elliptical purge valve at the bottom for easy purging of any water that makes it past the upper splash guard and purge channel. 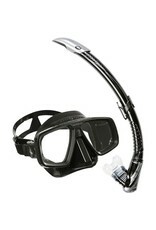 Integrated corrugation zone that allows for flexibility like a flex snorkel, but the rigidity of a non-flex. The lower section rotates, allowing the user to get an ergonomic fit and allows for reduced jaw fatigue. Patented Comfobite mouthpieces, which does not require the user to clench their teeth, eliminate jaw fatigue.